Just a few things here to update. A baby gate we picked up for $1 sold for $40. The bumbo we got for $5 was sold for $20. 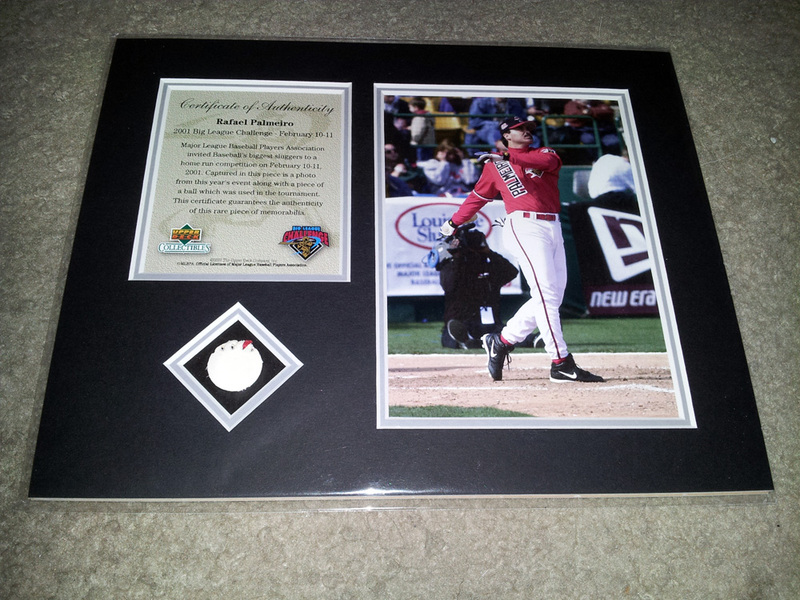 These plaques are of Canseco, Palmeiro and Giambi … all of which include a game used ball – well, at least from the 2001 Big League Challenge. Cool pieces! I will likely rip off one of the ball pieces to use in a custom at some point, if they don’t sell before I do! 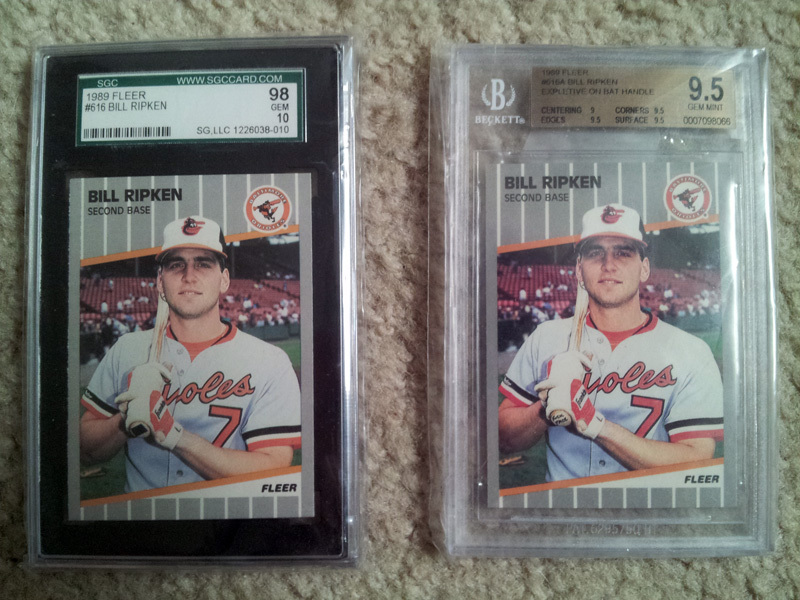 Two GEM MINT 1989 Fleer Bill Ripken errors. One is the black box, and the other is the … ahem … rick face version. I remember purchasing about 15 cases of older cards 4-5 years ago, and one of the cases was 1989 Fleer. It has a note on the case that was yellowed due to age stating the release date of the case and “Ripken error?” After careful consideration, I ripped into it … yes … 20 boxes, 36 packs each … 720 packs. Half the Ripkens were black box and the other half were white scribble, if I recall correctly. It sure was fun!